The location where templates used to create documents are stored including personal templates and the Normal (Blank) template. Sometimes set to point to a network share where shared, company-wide, templates are stored. This is another Startup location where addin templates can be stored. It is near the location where Office is installed, typically C:\Program Files\Microsoft Office\Office14\STARTUP. Best to avoid using this as it does not conform to standard addin controls. You see the following dialog. 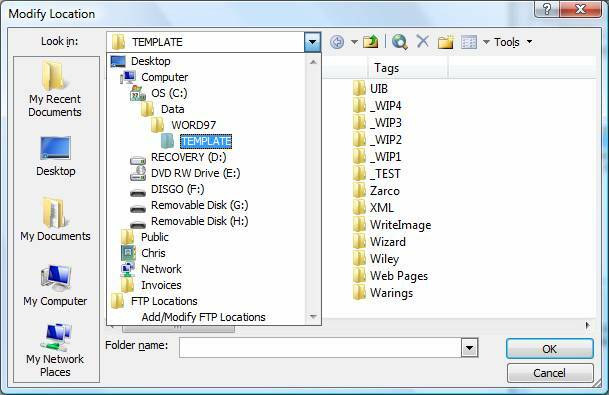 Look at the location of User templates, Workgroup templates and Startup. If you cannot see the whole location path name, click Modify and then drop down the Look in box to see the full path. 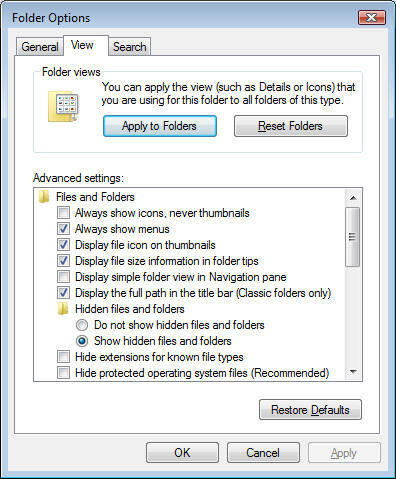 Note that this navigation shows only the folders and not the contents of any folder. Note down what they are set to. Workgroup: is often left blank or may be set to a network share. Use File Explorer (My Computer) to move the templates to the Word template folders. 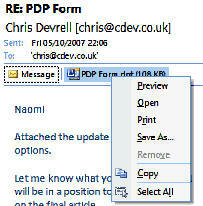 It is natural to open an emailed template attachment by double-clicking it from the email which opens the attachment in Word, then doing Save-as in Word. However this does not work because the act of double-clicking a template attachment does not open the template but instead opens a new document based on the template. Saving that new document as a template means that the template will not have any of the macros or customisations. and save to the template folders described above. Do: Tools, Macro, Security... and set macro security as required. You can set to Low temporarily if you are testing a new template. Remember to set it back to a higher level afterwards. Click Trusted Publishers tab and make sure that the checkbox for Trust all installed add-ins and templates is checked. 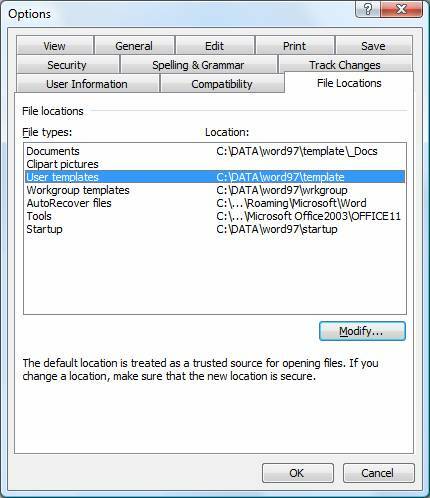 Click Trusted Locations and make sure that the User Templates, Startup and, if applicable, Workgroup locations are on the trusted locations list. If not you can add them. Click Macro settings and make sure that is set as required - you can set it to low for testing but normally set to Disable all with notification. Do: Tools, Templates and Addins and look at the list of Global templates and Addins. Check that the required ones are there. If not then likely that the addin template is not in the Startup folder. Do: Office button, Word Options, Add-ins. At the bottom where it says Manage:, drop down to Word Add-ins and press Go.